I have never been known for following current trends, mostly because I am usually so hopelessly out of touch that I have no idea what the current trends even are. But I have noticed that the term “diversity” is a popular one right now, as in “celebrate diversity,” “embrace diversity,” and similar slogans. The gist of it is that diversity is a good thing, and that we need to let go of our natural tendency to want to associate mostly with those people who are just like us and start sharing our lives with people who are often very different from us. 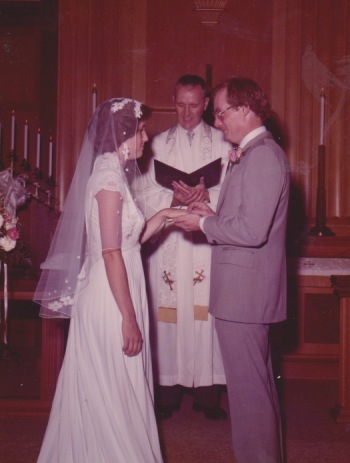 And I have to say that this is one trend that I am right on top of, because I have been “living with diversity” for over thirty five years now….ever since the day that I married my husband. Obviously, there many core values that my husband and I share: we have the same morals, the same commitment to family, the same sense of humor and the same work ethic. We also both like a clean house and are masters at the art of worrying. But I am a minimalist who feels very uncomfortable around clutter, and have a strong compulsion to organize all my possessions. My husband has many gifts, but the ability to organize his many possessions is not one of them. My books are shelved according to their author; the money in my wallet is arranged in ascending value with all the bills facing the same way; my clothes are hung in my closet according to color and category. My husband’s closet is hodgepodge of clothes, shoes, tools, store receipts and random knick knacks. Once I even found a hammer in his underwear drawer. We came from different states, different types of families, different religions, and we have very different strengths. He’s a natural at numbers and all things financial, while I struggle with anything beyond the most basic math. I am most comfortable expressing myself through the written word, whereas he sometimes asks for my help when he’s composing a simple business letter. And yet we make it work. I admit that deep down, I think I would prefer it if my husband would change a little so that he could be more like me. But it doesn’t work that way. If I want to stay in a close and loving relationship with him, I have to accept him just the way he is, and count on him doing the same thing for me. And I think that’s what “embracing diversity” is really all about: learning to let people be who they really are without trying to change them into becoming more like us. It’s not always easy, but after thirty-five years of marriage, I can honestly say it is worth the effort. A clever take of diversity! I have to agree that marriage has to be part living with diversity,,,more interesting that way! Good post! Yep, I think “we aren’t going to change each other” is the key insight here. It took me a while to realize this after my wife and I first got married. The next thing was to do decide how to respond to the fact. I think the happiest marriages are likely to be the ones where the partners just embrace their diversity. Yes, I think we just have to take people as they are. Of course, we can choose to change ourselves, if we want to. But I don’t think we can change others, and a marriage based on the premise that we’re going to mold our spouse to meet our expectations is probably doomed. But I have to say, my husband and I learned early on that separate closets are a must!!! I’d ask if this were true, but I think I know the answer already. Of course, one of you ended up a bedroom closet during the night, right? Sadly, every word of it is true! But so far, he’s the only one who has ended up sleeping on the closet floor! Enjoy! And keep us posted! Wonderfully said. You had some key things such as morals, family, humor which are so important. Sounds like you picked right. I heard it said at worship today that women adapt and that men don’t change so pick your relationships wisely. Thank you! Yes, we agree on the truly important things. But living together peacefully in the same household does require a certain amount of tolerance! 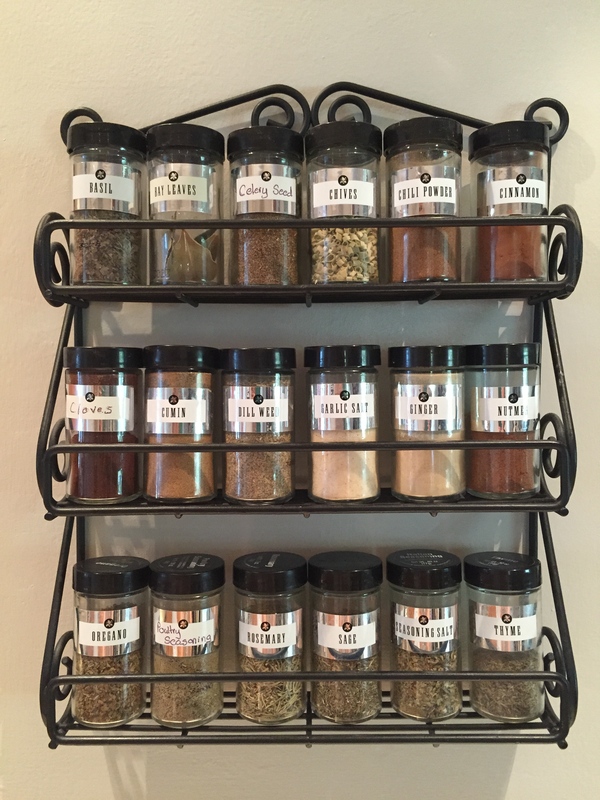 I kind of thought your spice rack picture would be a metaphor for the importance of diversity. In the end, the importance of alphabetization. No, the picture was just an illustration of one of my quirks. But living with my husband, my need for order means we definitely have diversity in our household! Very clever take on diversity and how it relates to marriage and relationships. I never looked at it in that way before but you’re absolutely right. Good post. Thank you, George! It just occurred to me that it’s so very easy to say “embrace diversity.” But a little bit harder to actually live it. And my marriage is “exhibit A” in that one! And yet we are quite happy together…. You never know! But you might want to pay attention to what she’s writing when she’s at the computer…. Yeah…now that you mention it, Ann, she has been giving more than the usual attention to that computer. I used to think it was just because she heard me yelling at the TV screen because the Giants had just blown another lead, and she wanted to avoid “boring ball” as she calls it. Excuse me, Ann, but I’m off to peak over my wife’s shoulder. It’s rather timely that I’m reading it today since out of the blue someone asked me on a coffee date earlier and I’m still puzzled as to why he asked at all!